We congratulate these members who earned StEPs certificates last month! The Standards and Excellence Program for History Organizations is AASLH’s self-study standards program designed specifically for small to mid-sized history organizations, including volunteer-run institutions. 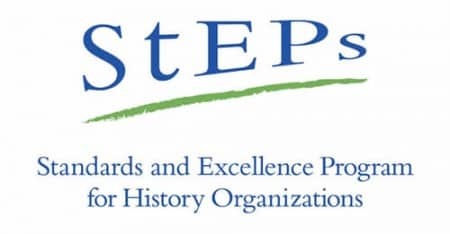 Through a workbook, online resources, and an online community, organizations enrolled in StEPs assess their policies and practices and benchmark themselves against nationally recognized standards. StEPs certificates mark an institution’s progress towards enhancing standards and management of their resources.